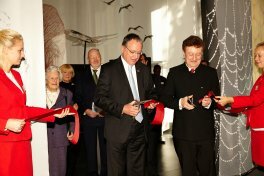 Seven outstanding scientists and engineers from across Europe were thrust into the public spotlight at the opening of the European Inventor Hall of Fame today at the Deutsches Museum in Munich. 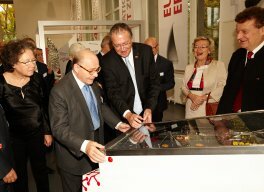 The exhibition, commissioned by the EPO as part of celebrations to mark the 40th anniversary of the signing of the European Patent Convention in 1973, was officially opened by EPO President Benoît Battistelli and the Museum's General Director Wolfgang M. Heckl. "Looking at the exhibition, no one can fail to be impressed by the vision and energy of these pioneering creators," said Mr Battistelli. "What we see here is technology at the service of humanity, helping not only to boost economic growth and create jobs, but to make the world a better place, with an improved quality of life." 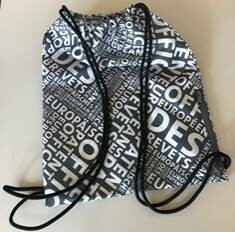 Professor Heckl spoke about the "technology triangle" formed by the German Patent and Trademark Office, the European Patent Office and the Deutsches Museum. "Together we form a nucleus of all that is brave and bold in technological progress," he said. The Hall of Fame features seven exhibits about inspirational men and women, all of whom have been honoured in recent years with the European Inventor Award for their groundbreaking inventions. The exhibition itself is the result of co‑operation between the EPO and a group of European science and technology museums, including the Deutsches Museum, which stands facing EPO headquarters on the banks of the river Isar in Munich ─ the inventions of the past and present juxtaposed with the inventions of the future. The exhibition opens in Munich, but will then travel to some of Europe's other leading science and technology museums in the months to come. Its first port of call is the Centro Musei Scienze Naturali in Naples, where it can be seen from March to May 2014. The Deutsches Museum is the world's largest museum of science and technology, with approximately 1.5 million visitors per year and about 28 000 exhibits objects from 50 different technical fields. It was founded in 1903 at a meeting of the Association of German Engineers.